The head of the union representing steelworkers in Sault Ste. Marie, Ont., says the new trade deal between Canada, the United States and Mexico, is one he wouldn’t have signed. The head of the union representing steelworkers in Sault Ste. Marie, Ont., says the new trade deal between Canada, the United States and Mexico, is one he wouldn't have signed. Late Sunday, it was announced the agreement, called USMCA, was reached between the three countries. However, American imposed tariffs on Canadian steel and aluminum imports remain in place despite the deal. "The reality is, there should be no tariffs," Mike Da Prat, United Steelworkers Local 2251 president said. "How do we get into a binding agreement with a country that says they have to put tariffs on us because we're a threat to their national security? What kind of a frigging partnership is that?" The federal government has said compensation will be available for those affected in the dairy sector by the deal, but nothing has been said about compensation for the steel industry. The mayor of Sault Ste. 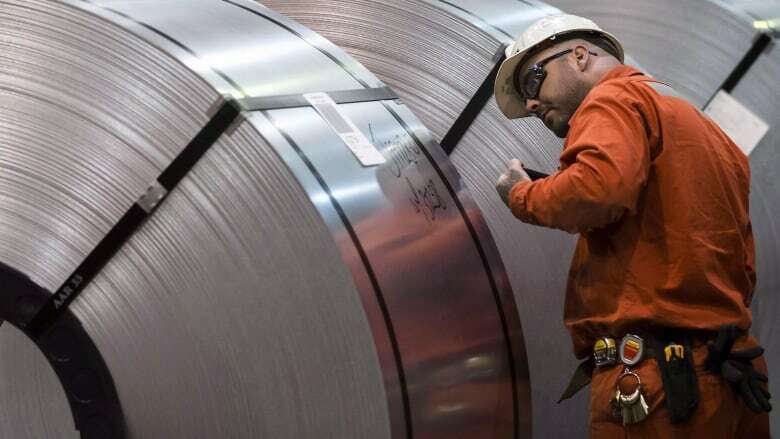 Marie is also expressing disappointment with the new trade deal as he had hoped the steel tariffs on Canadian steel would be lifted by the U.S. before an agreement was signed. Christian Provenzano says he expects the federal government to come up with a plan to help steel manufacturers. "The government can not treat one sector of the economy that's affected by this in a preferential way and not offer the same type of support for another sector," he said. "So if the government's looking for a way to support the dairy sector, and I take no issue with that, the government at the time has to look for a way to support the steel sector." Algoma Steel in Sault Ste. Marie says over the past three months, it's cost them $55 million in additional tariffs to export to the United States. Canada's minister of employment, workforce labour and development, Patty Hajdu, says there are always "irritants" involved in trade negotiations between countries. However, she says the tariffs imposed by the United States on Canadian steel are "unjustified." "We're going to continue to fight to alleviate those tariffs and take the actions that we need to," she said. Hajdu points out that earlier this year, the federal government created a fund worth up to $2 billion to "defend and protect the interests of Canadian workers in the businesses in the steel, aluminum and manufacturing industries."